Hamilton, ON – The Hamilton Port Authority’s 2018 cargo results are in, revealing the highest volume of cargo handled through the port in more than a decade. More than 11.6 million metric tonnes of cargo was imported or exported through the Port of Hamilton during the 2018 shipping season, an 18 per cent increase over 2017’s total. 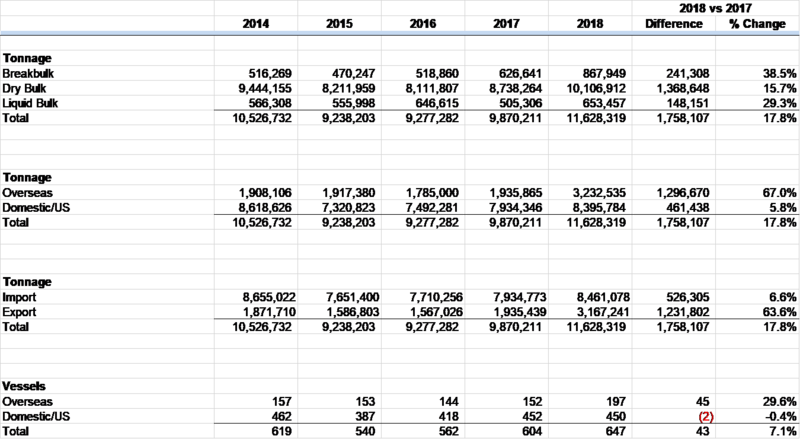 In 2018, more ships were making overseas trips to and from Hamilton. “This season really shows how Canada can diversify and develop new markets if it has the right infrastructure in place. 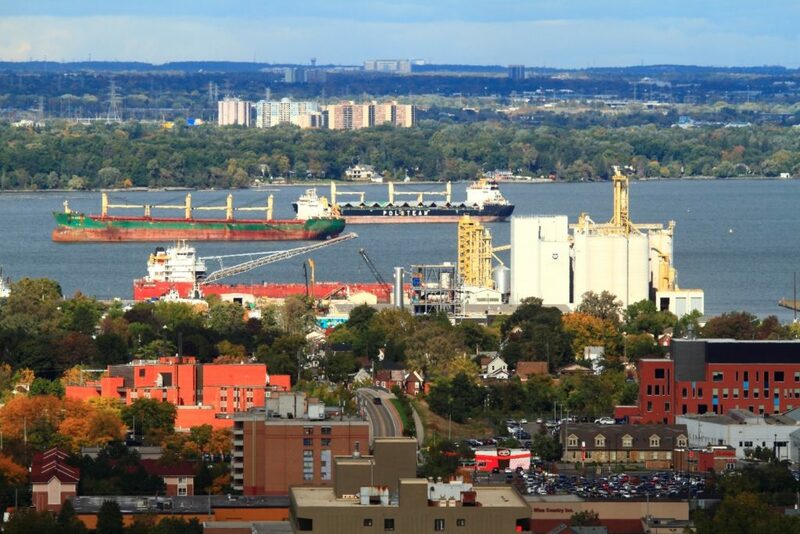 In 2018, exports through the Port of Hamilton were up by 63.6 per cent over 2017.” Behind this trend were increased exports of Ontario-grown grain, helped along by new terminal capacity at the port, a solid crop year, and expanded European market access as a result of the CETA agreement. The Port of Hamilton is the seventh largest port in Canada by volume, and the largest in Ontario.